Retail sales are proven to generate a limitless source of income for your salon. Sometimes you may think you are doing fine when in fact the only real sales you make come from clients picking up their favourite products. So how do you grow salon retail sales while keeping the fun vibe your clients love without becoming a “salesy salon”? 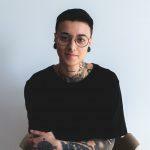 One could define a retailing culture as expectations that are set and constantly supported within the salon. Of course, this culture is orientated towards retail sales, however it is not only about selling. Has your staff comfortably settled into a daily routine? Developing a retail culture is also about keeping your stylists and beauty therapists actively engaged in your salon, hence breaking the routine. When should you set expectations/targets for your salon staff team? 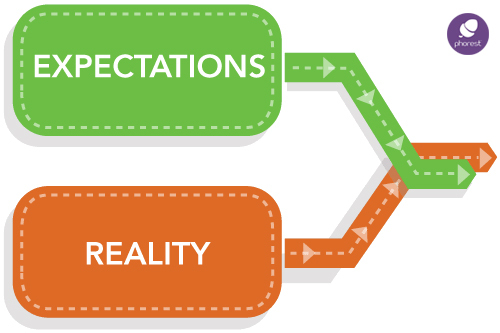 There’s nothing more effective than to set expectations clean and clear from the moment you hire your staff. Write everything down and have a sit down to chat about your targets. By doing this, no employee can ever say they weren’t aware of what they had to sell that month. For a salon retail culture to be alive and well, you will need a leader, or a “retail coach”. This person should already have strong sales numbers, natural leadership abilities, your stylists and beauty therapists’ respect and should also show potential for career development. Right now, this could be you. But that does not mean there isn’t potential in another member to take the mantle. 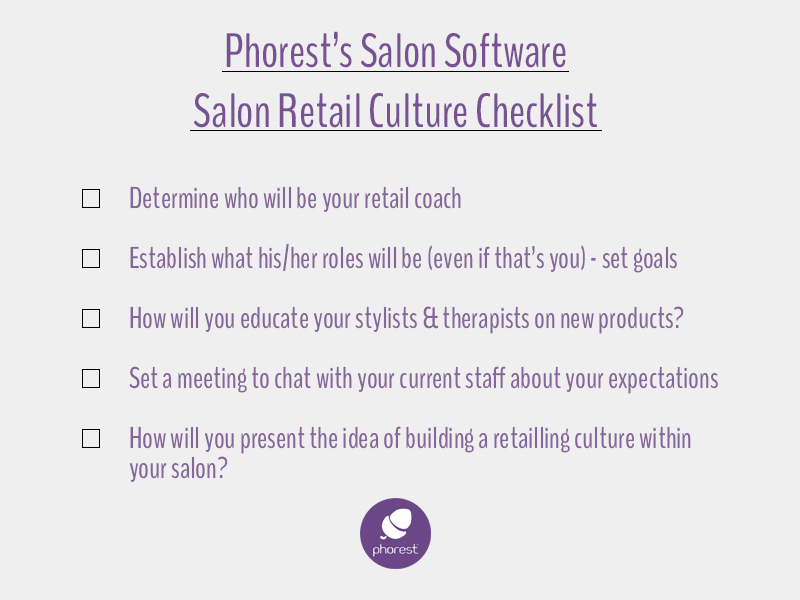 The way we see it here at Phorest, implementing a retail culture within your salon is a golden opportunity to mold a team member for a future management position. Educate your staff on your products. Set times for beauty distributor educators to come to your salon and give classes on their products and have each member of your staff research one product of a line and present selling angles in your next meeting. When you learn to love the why and not just the what, you find it easier to fall in love with the product. We know of one salon that does random pop-quizzes every morning as they open. They ask one tough question about a product on the shelf. Asking questions over and over sets the expectation that they will be asked a question encouraging them to learn more. Set up a board in the back room, have your employees keep track of their targets and allow creativity to be present. Plain numbers can seem boring for highly artistic minds. Be careful though if you have some who continually comes last. It can work as a deflationary rather than motivational tool. If you have 10+ staff it may worth putting only the top three sellers of the week on it. Make sure your retail leader (coach) has loads of retail credibility. Your main leader should be approachable and full of resources to come up with new fun ideas for the team to generate more sales. Maybe send them on a training course every year to develop their skills. If you haven’t got that person on the team right now or if it is you, think about who you would like to develop. Have you seen any signs among your existing staff? Make sure your merchandising is on point. Keep your display clean, full and nicely fronted. Here, first impressions count for a whole lot. Lots more info on that here. Incentivise your staff with salon retail contests. Create fun retail contests within your team and set prizes (a massage, new clippers, high end cosmetics, facial products, products for their station, etc). For Phorest software users, you also have a product reminder feature that works in a way that you get a pop-up window reminding you what the client bought in past appointments so you can see if they are due for replacing. For more information about how this feature works and in-depth retail sales tips, you can have a look at this past article of ours, in which we also covered the ‘how’ of selling retail to compliment this culture post. Remember, not everyone is cut-out to be a great salesperson and many stylists or beauty therapists are afraid they will turn clients away or lose credibility when trying to sell more retail. No one wants to come off as pushy, nor do you want to rush your customers. 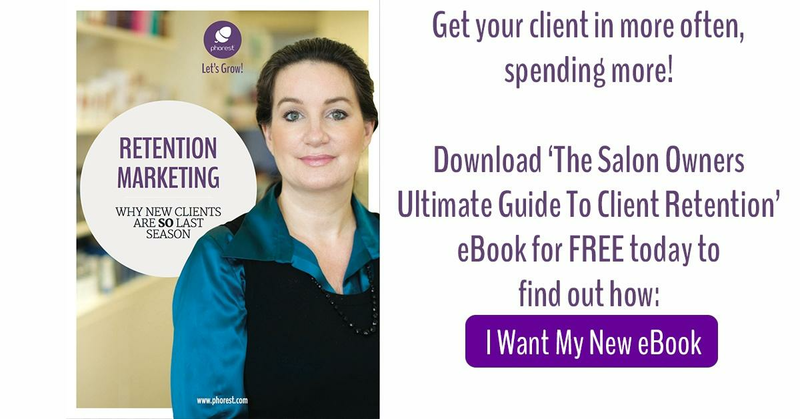 However, when you properly implement a salon retail culture and set clear targets for your staff, it makes it easier for everyone to get on board and above all, it does not feel like selling but telling clients about products you are passionate about. 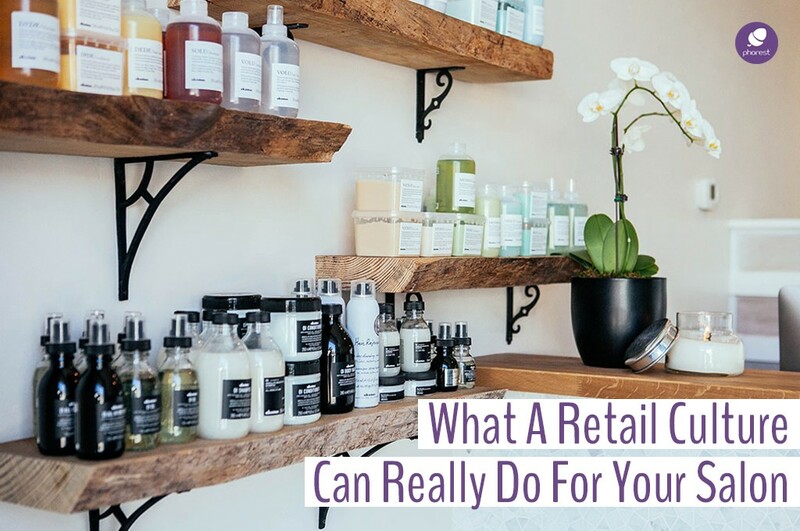 RetailHow Much Salon Retail Products Should You Stock? RetailThe #SalonRetailWeek Industry Challenge: Winners Announced!